Next month is a busy time with shows and event across London and we will be part of it! 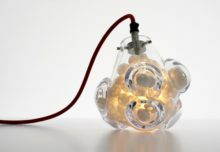 First is Synergy, at London GlassBlowing which showcase a range of boundary pushing collaborations between artist , materials and techniques. Relocated in two amazing new venues, Design Junction is one of the leading event during London Design Week. and once again we will be part of it but with new products for you! Design Juction is from 24 till 27 Sep.